Effective December 31, 2014 parts and service for the Scott Scout Multi-Gas Meter will no longer be available. The Scott Scout has been discontinued and replacement sensors will no longer be available. Customers currently operating with the Scott Scout Multi-Gas meter have a few options. AAA Emergency Supply is now a proud distributor of GMI Gas Detection Products. 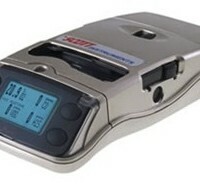 For a comparable user experience to the Scott Scout, customers can look to the GMI PS200 Series of multi-gas detectors. 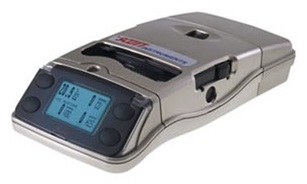 The PS200 is a complete field repairable unit offering four gas detection with three sensors. The PS200 can be configured to detect a combination of Methane, Oxygen, Carbon Monoxide, Hydrogen Sulfide, as well as other flammable gases. In addition, the PS200 offers seven different colored rubber boot housings for easy identification and added durability. For more information on the GMI PS200 check out the GMI Website or contact your local AAA Sales Representative. Alternatively, the proven and time tested Industrial Scientific Ventis MX4 Multi-Gas Meter is also available through AAA Emergency. The MX4 is being utilized by numerous fire and public works agencies throughout the tri-state area and has shown its effectiveness and durability time and time again. The MX4 monitors up to four gases and can be configured with a pump. Available in a black or orange overmold, the MX4 provides true portability in multi-gas protection in a compact package.